These data provide the number of business establishments, at the zip code level, for most of the U.S. 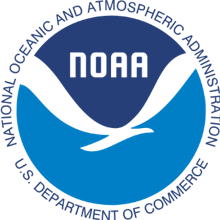 The data are organized into NAICS codes and can be sorted using the ENOW definition of the ocean economy (the six sectors). Businesses are categorized by employment ranges (1 to 4 employees, 5 to 9 employees, 10 to 19 employees, etc. ), which means the values being estimated leave room for uncertainty. Certain states provide data developed by that state’s bureau of labor or a corresponding agency. These data can vary in terms of accessibility, data format, and use of NAICS codes. For example, Massachusetts provides employment and wage statistics by the 4-digit NAICS industries for each city and town. These data are easily accessible on the website of the Executive Office of Labor and Workforce Development. Esri’s Business Analyst has information on individual businesses by industries at the Census block-group level. Indicators include name, location, scale, and number of employees for the most current year. These data require a paid for license. ReferenceUSA provides library patrons with access to extremely accurate and complete business and consumer data by NAICS codes. Many libraries, such as Maine State Library, provide members with free access to this online platform. These data require a subscription.